The album was the 7th studio album by Elton John. It was released in 1973 and sold over 30 million copies worldwide. Many regard it as his best album ever. It was recorded at the Château d'Hérouville in France after problems recording at the intended location in Jamaica. 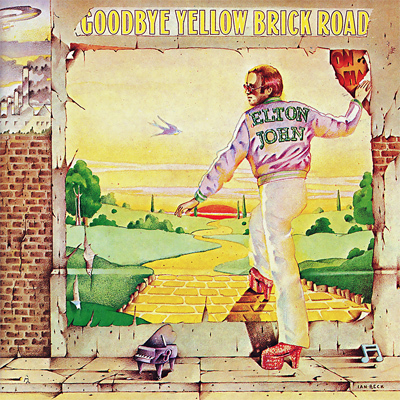 Among its 17 tracks are hits ‘Candle in the Wind’, ‘Bennie and the Jets’, ‘Saturday Night's Alright for Fighting’ and of course the title song ‘Goodbye Yellow Brick Road’.